There's a fair amount of incoming due from the RPI in the coming weeks, and those people who are keen on the heavy Italian prog rock should definitely have Falena on their radar. The band has been around since 2003 and in fact released their debut album 'Impressioni' (as a Myspace stream) in 2007. While they have hitherto hobnobbed with hard rock, they generally seem to have had a bit of an identity crisis and by their own admission haven't really been able to get a handle on their own sound. There's a semblance of a concept too; the album presents a collection of songs that together draw a picture of the follies of human nature - mental disorder, human suffering and other dismal imaginings. This might even be seen as a metaphor for the band itself and that idea of not knowing where they belong, but let's just park that argument and keep the focus of attention on the music. The nature of the lyrics be as they may, but the band relays these ideas through the medium of great muckle power chords, fire-eater vocals, and a rhythm section that's as tight as a duck's erchie. And with the keyboardist doubling up on flute, there are well-kenned RPI elements enough. By-the-bye, don't be looking to this album for help with your circadian rhythms or sleep disorder; it's a noisy affair so you'll not be needing your jim-jams with this one, that's for certain. As noted above, things are about as busy as they get in the Villa just now with some devilishly good bands in the pipeline. As a surety, Auld Nick will get frostbite before the RPI juggernaut runs out of hot new bands. Okay, so there aren't pure hundreds of artists being added but Falena is just one of several catechumens that the RPI faithful will want to acquaint themselves with. And in spite of its self- defeating title, 'L'Idiota' is no prog rock folly. 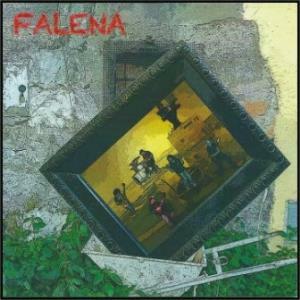 Falena began life in 2002 in Rocca di Papa, near Rome, on the initiative of Andrea Trinca, Emiliano Sellati and Alessandro Fusacchia, influenced by the alternative rock scene and progressive rock. In 2007 they released a first self produced album full of raw energy, Impressioni. After some line up changes and a good live activity on the local scene, in 2013 the band released another self produced album, L'idiota (The idiot), with a line up featuring founder members Emiliano Sellati (vocals), Alessandro Fusacchia (guitar) and Andrea Trinca (bass), along with Marco Rusignuolo (guitar), Marco Peschi (keyboards, synthesizers, flute) and Rossano Acciari (drums). The overall sound here is more refined and mature than on the previous work and the band showcase really good song-writing skills blending hard rock and calmer passages, ethereal atmospheres and disquieting moods. The strong theatrical attitude of the vocalist and lyricist Emiliano Sellati adds brilliant touches of colour to the musical fabric with excellent results. There are no liner notes but all the tracks are in some way linked and tell in a poetical way about a daily diet of despair, a metaphorical fall into a void where your personality and your sanity are in danger. "Il destino è coperto da..." (Destiny is covered by...) is another track featuring an uneasy mood where the borders between nightmare and reality get blurred. 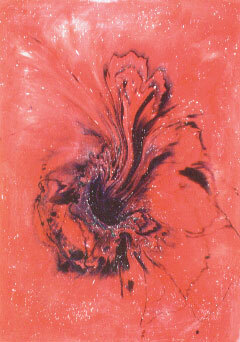 Try to imagine a rag covering your destiny, then a sudden cut in the rag lets the light in... There is someone who can control all your activities, you're flying like a bee in a swarm, but you feel as if you were drunk on your ego... "No place is so far / There are always imperceptible voices...". "La ricerca del nulla" (The search for nothing) describes in music and words a pointless inner quest within the boundaries of order to dig out your hidden impulsions. Soon space and time become meaningless concepts... Along the way you'll meet voiceless giants proud of their greediness, keepers of shadows, untied dogs and other strange creatures, you'll be mislead by peculiar dreams and mirages, you'll be deceived by strange images and powerful illusions but in the end you won't find what you're looking for... "We're looking for nothing / We're looking for...". "Una strana sensazione" (A strange sensation) is another tense track describing a kind of emotional short-circuit that causes a sudden dizziness and a fall down the stairs while the borders between obsession and logic disappear... "I will be a flower of paper / Without stem nor soil...". "Cibo di uomini" (Food of men) features a slower pace and a hallucinatory mood. The visionary strength of the lyrics conjures up surreal images describing an anthropophagic rite of daily cowardice, a banquet where men feed on other men and brains are on sale. It's a bold metaphor suggesting the absurdity of struggling for power and money... "I will love the Autumn that knocks down the world / Between the murmurs of automatons dressed for the party / And that innocence which turns on every truth of mine / Feed of men... Men...". "Es!" is about a tearing inner conflict, a war where the real personality of a man is at stake and risks to get suffocated by an external mechanism. The music and the hermetic, evocative lyrics depict brains assembled and disassembled on production lines to celebrate the victory of impersonality. You can't ignore what you can't explain, to survive you've got to enter labyrinths of snow where everything reappears and a drop of colour or a sun ray is all you need to remember who you are. The final track "Spazi vuoti" (Empty spaces) features recitative vocals and ethereal atmospheres. While the words flow away in a measured cadence, every now and again Pholas Dactylus come to mind... Finally this strange kind of trip through silent, empty spaces surrounded by the ghosts of madness comes to an end. Eventually you can hear a sound and you realize that you're not insane after all! On the whole I think that this is a very interesting work... Anyway, have a try and judge by yourselves! By the way, the album is available in digital edition on the main digital stores while for the physical copy you have to ask the band. Post a review of FALENA "L'Idiota"